Are you a Cherry Prepaid subscriber? 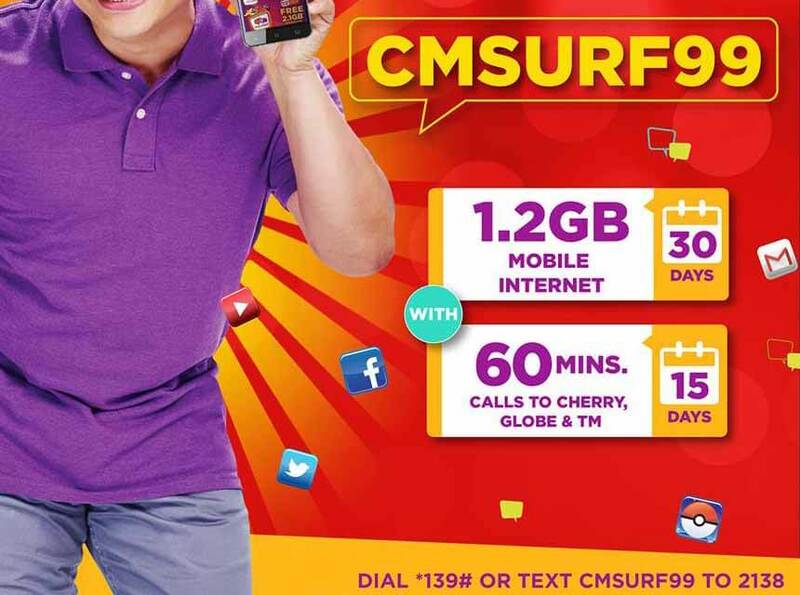 If not, buy their latest 4G/LTE SIM for Php29 to try out this new CMSURF99 promo for only 99 pesos good for 1 month. You can now browse to the internet at a very affordable price using Cherry Mobile prepaid, your P99 gives a longer validity period for up to 30 days. With 1.2GB data allocation, you can use it to surf the net, manage daily emails, and chat with your friends. Unlike other network’s promo, your 1.2GB can last more than the usual 50 pesos for 3 days or 1 day validity only. As long as you know how to manage your usage, you can find the offer more affordable than other offers. You can register via SMS keyword or using the USSD Code for Cherry Prepaid SIM users. Retailers also can access this offer by dialing *100# USSD code loading menu. To subscribe CMSURF99 promo for 30 days via text, just follow the keyword format provided below as your reference in case you’re interested. 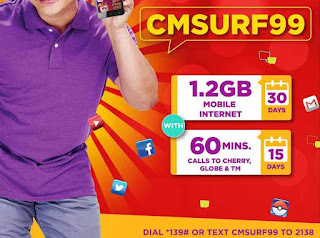 Do note that data and call included above is consumable, once you fully consumed the given allocation you will not able to access the internet and call if you don’t register to another Cherry Prepaid CMSURF offers. For more promo you can use our search bar or visit Cherry Prepaid social medial pages i.e. Facebook, Twitter and more for updates.